Looking for the cheapest cars to own? This doesn’t only mean the purchase price of the vehicle, but it also includes ownership costs over the long run, say 5 years. What you really want, then, is a set of wheels that involves the lowest cost of ownership. The trick is, how do you find such vehicles? The editors of Edmunds have calculated what they term True Cost to Own and regularly publish listings of vehicles in categories of sedan, coupe, wagon, truck, SUV, minivan and hybrid – in various price categories. Here we showcase three of Edmunds’ recently recommended lowest cost to own vehicles in the sedan category. Pontiac G3 – In the under $15,000 sedan category, Edmunds puts the Pontiac G3 front and center. The 2009 base front-wheel drive (FWD) 5-door subcompact hatchback Pontiac G3 is powered by a 106-hp 1.6-liter inline 4-cylinder engine mated to a standard 5-speed manual or optional 4-speed automatic transmission. Fuel economy is “decent,” according to Edmunds, in the 30 miles per gallon range, and there’s a “strong powertrain warranty,” but “meager power, paltry luggage capacity behind rear seats.” Consumer Guide says G3 “has a comfortable ride, decent road manners, and an inviting interior,” although it has engine and road noise and acceleration with automatic transmission is less than ideal. Suzuki SX4 – This sedan falls into the Edmunds under $25,000 category. U.S. News and World Report says the “Suzuki SX4’s fun style, interior features and performance make it a great alternative to the top-ranked small cars, as does its low pricing.” The FWD subcompact, available in sedan and hatchback, gets its power from a 143-hp 2.0-liter 4-cylinder engine, again with standard 5-speed manual or optional 4-speed automatic transmission. All-wheel drive (AWD) is available in the hatchback. Suzuki SX4 is a Consumer Guide Best Buy Pick, “roomy and solid…laudable list of available safety equipment and offers uncommon class features such as AWD and a navigation system.” New Car Test Drive comments, “Suzuki SX4 is an ideal small car…All models are bargain priced and they deliver a lot of content.” Add to that Suzuki’s 100,000-mile, 7-year, fully-transferrable, zero-deductible powertrain warranty and it’s a no-brainer. 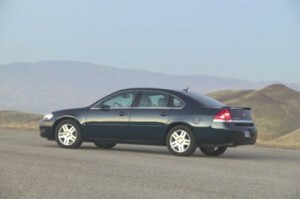 Chevrolet Impala – In the under $35,000 sedan category is the Chevrolet Impala. Edmunds highlights Impala’s “powerful and efficient V6 engines, comfortable cabin and smooth ride,” saying also that “it brings a lot to the family sedan table.” Kelley Blue Book says, “If you’re in the market for a big roomy sedan that won’t break the bank…Impala will thoroughly meet your needs and probably exceed your expectations,” plus, it offers an optional V-8 engine, which is “something no other import in the class offers.” Still, other reviewers are mostly unimpressed with the aging Impala, but it does fit well with cheapest cars to own. For low-cost vehicle ownership, definitely take a look at current and past Impalas. Other cheapest, lowest price vehicles to consider include Honda Fit and Civic, Hyundai Elantra, Kia Forte, Mazda 3, Volkswagen Golf and Jetta, Chevrolet Malibu, Ford Fusion and Mercury Milan.